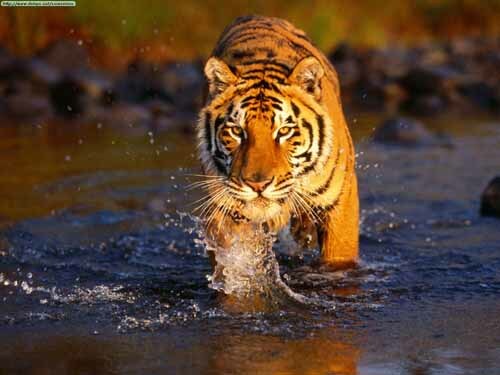 10 Days, Rajasthan Wildlife Tour! 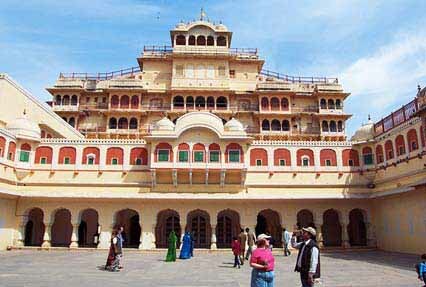 Rajasthan Wildlife Tour package is a fantastic combination of great North Indian historical cities Delhi - Bharatpur Bird Sanctuary with famous heritage cities of rajasthan such as Sariska National Park - Ranthambore National Park - Agra - Delhi. Destinations of this Tour : Delhi - Bharatpur Bird Sanctuary - Sariska National Park - Ranthambore National Park - Agra - Delhi. After arrival at International Airport/Railway Station in Delhi, Grand Tours India Representatives will greet and assist you to transfer to the hotel. Spend rest of the day in comforts at hotel. Today, after hearty morning breakfast at hotel, the North India Wildlife Tour package takes you on a visit to the attractions of Delhi, India. See the Red Fort, Jama Masjid and Raj Ghat; drive past the Parliament House and India Gate and tour the Laxmi Narayan Temple, Lotus Temple and other Delhi attractions. Have a hearty breakfast in the morning and then, drive to Bharatpur as a part of Rajasthan Wildlife Tour Packages. Upon arrival in Bharatpur, Grand Tours India Representatives will assist you to transfer to hotel. In the evening, visit the famous Bharatpur Bird Sanctuary. Morning and evening visit of the Bharatpur Bird Sanctuary. Breakfast, lunch, dinner and overnight stay will be at the hotel. After hearty breakfast in the morning, drive to Sariska as a part of Rajasthan Wildlife Tour Packages. Upon arrival, Grand Tours India Representatives will assist you to transfer to the hotel. In the afternoon, visit the Sariska National Park. Enjoy morning and evening game drive to the Sariska national park. After hearty breakfast in the morning, drive to Ranthambore National Park. On arrival, Grand Tours India Representatives will assist you to transfer to the hotel. In the afternoon, game drive to the Ranthambore National Park. Enjoy morning and evening game drive to the Ranthambore National Park. Have an early hearty breakfast at the hotel and then drive to Agra. Upon arrival in Agra, Grand Tours India Representatives will assist you transfer to the hotel. In the afternoon, enjoy the sightseeing tour of Agra. Visit world famous love monument Taj Mahal built by a great Mughal emperor Shah Jahan in loving memory of his beautiful beloved queen Mumtaj Mahal after her death. The beauty of Taj Mahal is unparalleled. It is considered as on of seventh wonder of world. Also visit at Agra Fort.